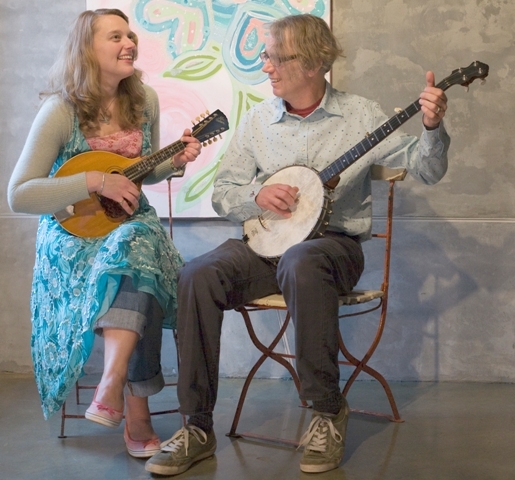 Nashville-based musicians Jeni and Billy are on their third visit to TwickFolk. “Jeni and Billy charmed us when they first performed here and gave our audience a warm feeling” says Gerry Evans, one of the volunteers who organise TwickFolk. Billy, from Baltimore, embraced country music in the nearby community of Oella — the home of Appalachian migrants who came to the city looking for work in the mills. He has toured with country bands all over North America and Germany, building a producing career working with roots artists. Jeni writes and sings songs, accompanied by Billy, about people living in the Appalachian mountains – miners and millworkers, roustabouts and revival preachers, Buicks and beauty queens. A natural storyteller and prolific writer, Jeni traces her vocal style to Virginia Lowe, the blind music minister of the Friendly Chapel Church on Smith Ridge, the Appalachian community in which she spent her childhood summers. Her singing has been compared to the lonesome voices of Maybelle Carter and Iris Dement, and her writing to that of Flannery O’Connor.